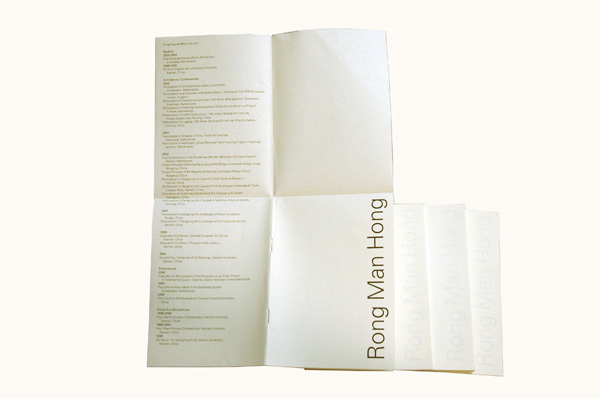 This booklet was produced on the occasion of young chinese artist Hong Rongman's graduation from The Dutch Art Institute. Rongman in a very poetic way, subverts the everyday by painting with shadows, making compositions of torn cardboard etc. To replicate this process in a book I turned it's contents inward asking a bit more from the viewer to access it. Much like Rongman's shadow paintings you get just a subtle glimpse of content.